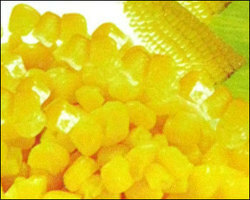 Manufacturer & Supplier of American Sweet Corn. Our product range also comprises of Frozen Fruits, Frozen Corns and Exotic Fruits. As a specialist in this domain, we are offering superior quality American Sweet Corn that is best suited for different cuisines. Our offered sweet corn is highly praised in the market owing to this various quality attributes. The provided sweet corn is processed by our skilled professionals using advanced technology in adherence with industry norms. So as to maintain its quality, this sweet corn is tested on different parameters. Looking for “American Sweet Corn”?